Penda Health is an award-winning private company that has been ranked the best health care company to work for in 2018 by Brighter Monday. We are transforming healthcare in Kenya by building a chain of outpatient medical centres that make extremely high quality healthcare accessible to every family and offer unparalleled patient experiences. Penda Health uses several software systems across our business, including a clinical ERP system in our branches. The Software Systems Analyst is responsible for deeply understanding our business processes and working to ensure our software matches and enhances our business workflows as much as possible. The Systems Analyst will value and prioritize the user experience, offer support and training to teams, and work with external vendors on software customizations. A successful applicant will have a technical background, but the role does not involve any programming or in-house software development. 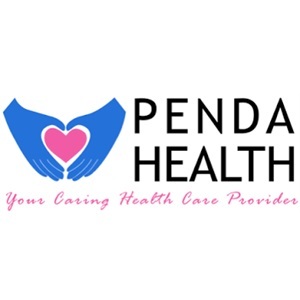 Penda is Kenya’s leading player in health care IT – be a part of Kenya’s health care IT revolution at a fast-growing company. Work in a senior role with lots of autonomy to solve problems and continually improve our software product while accommodating user needs. Be a great Teammate: Take feedback well, be open and honest about problems you are facing, take on conflict with your colleagues in a healthy way, and work hard to improve the system for your colleagues! Starting base salary is dependent on experience and qualifications. Additional training and mentorship opportunities are available. Full Medical Cover for you and your family. This role will be challenging and important. There is a lot to do, so be prepared to work long hours.